Have questions about dental implants? You’re not alone. We field a lot of questions from patients interested in tooth replacement options, including dental implant surgery. Continue reading to browse our list of frequently asked questions. If your question isn’t listed below, schedule a consultation with one of our dental implant dentists. Once we determine you’re a candidate for dental implant surgery, we’ll schedule the procedure. During your first visit with us, we’ll cut through the gum tissue to access the underlying jawbone. The tooth implant will then be inserted into the jawbone where it will fuse over the next several months during a process called osseointegration. Yes! In fact, many patients benefit greatly from replacing several teeth with dental implants. Unlike conventional dentures, dental implants don’t slip when you talk, eat, and smile. 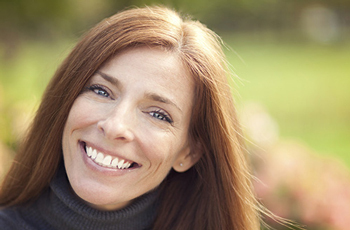 Many of our patients also appreciate that dental implants look and feel like natural teeth. During your consultation, we can help you understand what to expect from the dental implant process so you can feel prepared. We’re always happy to answer any questions you might have. Our dental implant dentists can determine whether you’re a candidate for the dental implant procedure. To schedule your appointment with one of our Grandville dentists, call (616) 534-0080.